Yes, Liam said yes to a dress (sort of). But back to Miley and Liam, the lovebirds of this generation. Their actual Valentine's Day was spent in the great outdoors with the greatest creatures to ever walk this planet: their dogs Tani and Dora. They also took this sweet family photo. I can't with Dora's tongue. 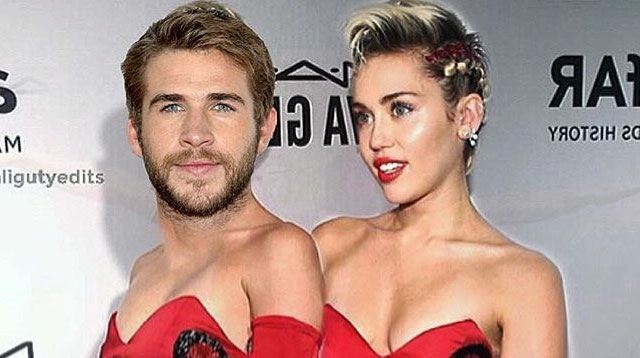 Thanks, Miley and Liam, for being so inspirational. Excuse me while I spend some time photoshopping my husband into my prom photo. It's going to be GREAT.